Who will finish where in the Super League this season? 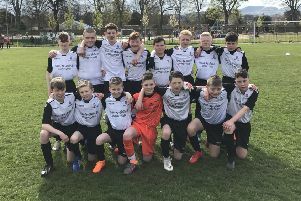 Junior football returns this weekend and Scott Thomson makes his predictions and names his star men for the Lothians teams this term. Key Signing: Jordan Cropley. The attacking midfielder, signed from Newtongrange Star, should provide some much-needed creativity in the centre of the park. Key Departure : Ross Philp. A key player for the BUs in recent times, Philp has re-joined Kelty Hearts. Bo’ness will miss his drive in midfield. Key Signing: Dean Brett. After a full pre-season under his belt, Brett will be a key player for Rose this season. Bonnyrigg are lucky to have him. Key Departure: Ruaridh Donaldson. The youngster has joined League Two Stenhousemuir and leaves behind a big void at New Dundas Park. Key Signing: Jack Beesley. The ex-Spartans stalwart will bring a wealth of experience to the middle of the park. Key Departure: Darren Cole. The defender, formerly of Rangers and Livingston, has joined Derry City in Ireland. Key Signing: Roddy MacLennan. The little midfielder is one of the best on his day in the Juniors. He will add goals and assists to Rose. Key Departure: Ross Gray. He was one of Rose’s better players in a forgettable campaign for the club last season. Key Signing: Kieron Renton. The experienced goalkeeper is back at New Victoria Park and his vocal presence is needed to organise what was a ropey defence last term. Key Departure: Lee Currie. The former Berwick Rangers man’s range of passing and free-kick ability will be Bonnyrigg’s gain. Key Signing: Lambert Kateleza. The striker joins from Premier League Arniston Rangers where he scored goals for fun. Key Departure: Ryan Gay. A Penicuik stalwart, the midfielder’s influence will be difficult to replace.